With the rise of online shopping worldwide, social media has undoubtedly been of great aid to retailers in different ways. We want to discuss how the rise of Pinterest, a photo sharing website that allows users to create and manage image collections, can help retailers boost their sales. With so many social networks available for businesses to set up a page and create a following, why would anyone want to use yet another social network to attract potential customers? We believe that Pinterest is ideal for online retailers to attract a broader customer base. By allowing you to explore and pin visuals on the site, Pinterest helps you promote your products in a way that inspires consumers with ideas for their next purchase. So, how exactly would Pinterest increase your sales? Thanks to Shopify, we have about ten different answers to that question for you. Consumers are interested in your thought process, how your products are made, and what inspires you. They want to see how you work, so let people see what’s going on in your business. Whether it’s a photo of a tasty lunch at the workplace or a sneak preview of your new prototype, people will appreciate to see that you’re human too. Share the images used on your blog, videos, and photos that may give insight into your business’ development. Show photos of your past products and allow people to see how much you’ve grown on a professional level. Use your resources to create a buzz in your Pinterest activity. Whether it’s your family, your customer list, or other social networks, they will be glad to support you. 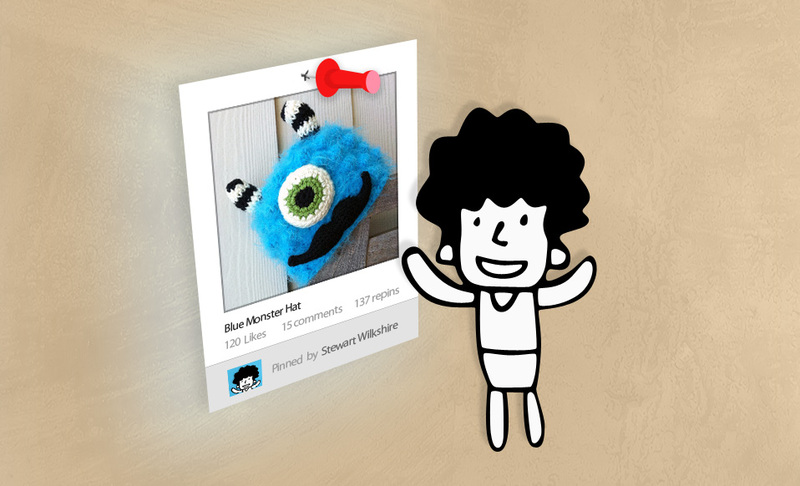 Interact with your fans by asking them to pin and share photos of your products in different environments. Let them get creative. This helps them understand that you care about their interpretations. You can also ask your non-Pinterest using fans to send you their pictures for support so that you can pin them. Creating thematic boards will trigger more interest from fans and potential customers. These boards can serve for more fan interaction. Whether you’re selling hardware tools or jewelry, your customers can share photos with your products in action and pin them in the right thematic boards. Eventually, you will run out of pictures to share, despite the fact that you may have a vast amount of products. What you can do is, once again, involve your fans. Ask them to create a board in your Pinterest which is all about them. This will allow you to really get to know your target group, get inspired, and create a more personal relationship with them. Be proud of who you are and feel free to express your brand in its human form. Who are the people behind the screens? Introduce yourself and your team. Tell your customers who does what and why they enjoy working at your company. Show them that there’s more to your business than just your products. Are you sustainable? Do you work as a team or in small cubicles? Let them know. Keeping track of followers may not be as easy on Pinterest as it may be in other social networks, but it's definitely worth trying. By doing so you can see what pins and boards your followers like and appreciate. This makes it is easier for you to know what works and doesn’t work on your Pinterest, and enables you to optimize the amount of time you spend on it. Make sure that when your customers spot a must-have product, it is one click away from finding it on your shop. You don’t want your links to be a labyrinth for your customers, because they tend to lose interest after a while. Make sure that you let people see what you have to offer. Consumers want choice, but they also want a price. So remember to post your products’ prices on your pins. If done correctly, this can be a great opportunity for your products to be discovered in the Gifts section on Pinterest. To double your results, find businesses who share your mentality and target market (but not your product) who you can team up with. Give them the opportunity to be promoted on your Pinterest boards and have them return the favor by showcasing your business on their account. This can be done in a separate board, which shows independent businesses you support, for example. Words can sometimes overcloud people’s opinions or leave little room to personal opinions and interpretations. Pinterest can help people develop their own perspective and allow yours as well as your customers’ creativity to run wild. Bottom line, Pinterest is worth a shot. Let us know how these tips worked out for you.